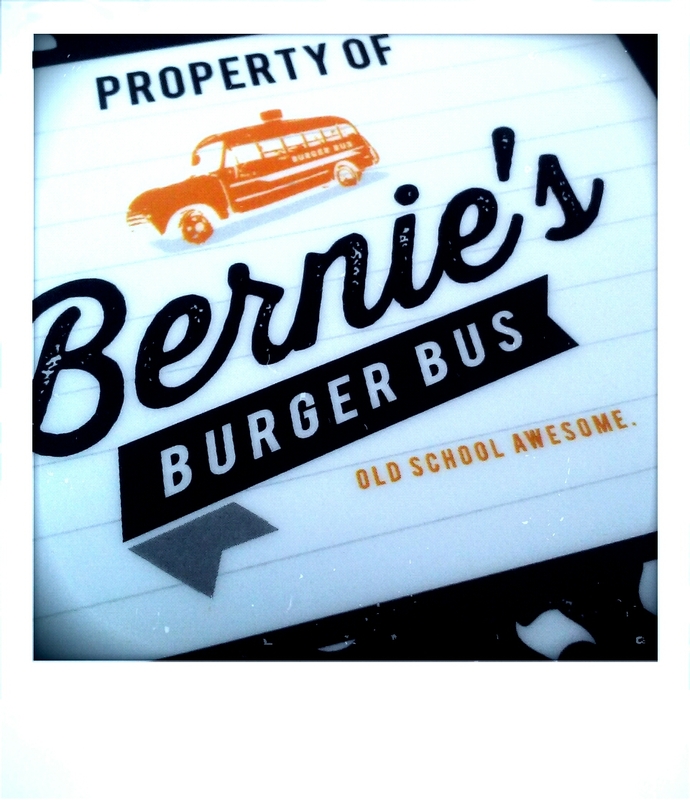 Bernie’s Burger Bus – Appetite Deluxe! 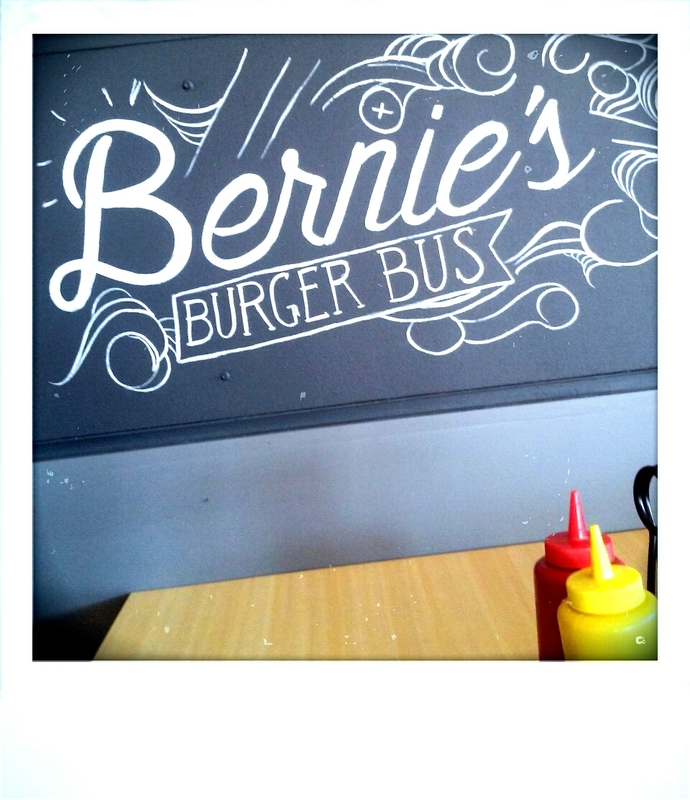 As an American, this country is well known for our burgers so I wanted to make a stop at the newest venture in town trying to make its mark on the industry, Bernie’s Burger Bus. Serving as both a resrurant and food truck, this burger joint just recently opened back in 2010, by chef Justin Turner who has 18 years restaurant experience. 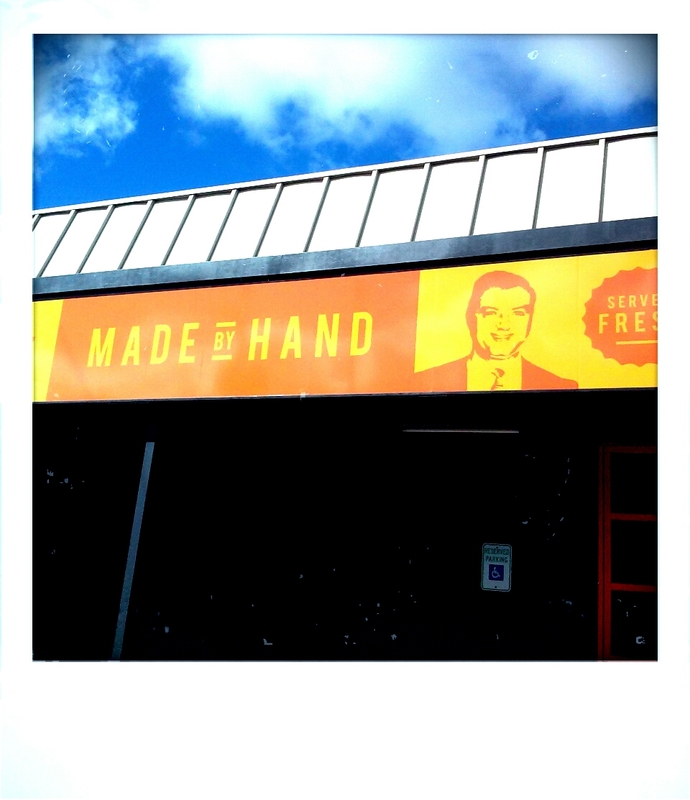 As their website proudly states (and our server mentioned this to us as well), everything that comes out of Bernie’s Burger Bus kitchen is made from scratch. From the buns to the condiments, everything is homemade! Now I am no burger girl by any means. I like them but don’t have a love for them, however the loud buzz about this place was too big to ignore so I dragged my hubby with me and made him promise to hold off eating until Bernie’s opened. I kid you not we were there 10 mins ( before they opened for lunch. 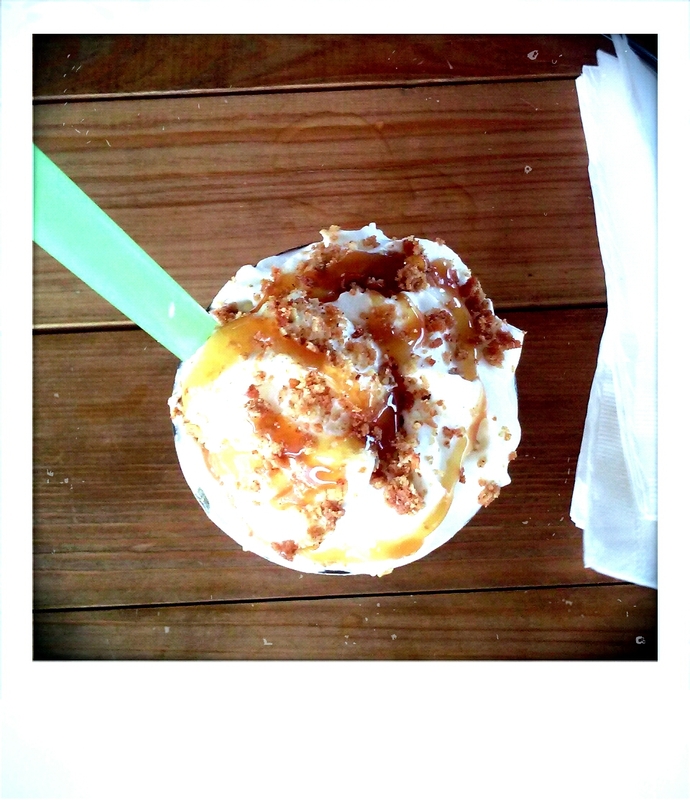 And Bernie’s was every bit worth the wait for those long grueling 10 minutes! 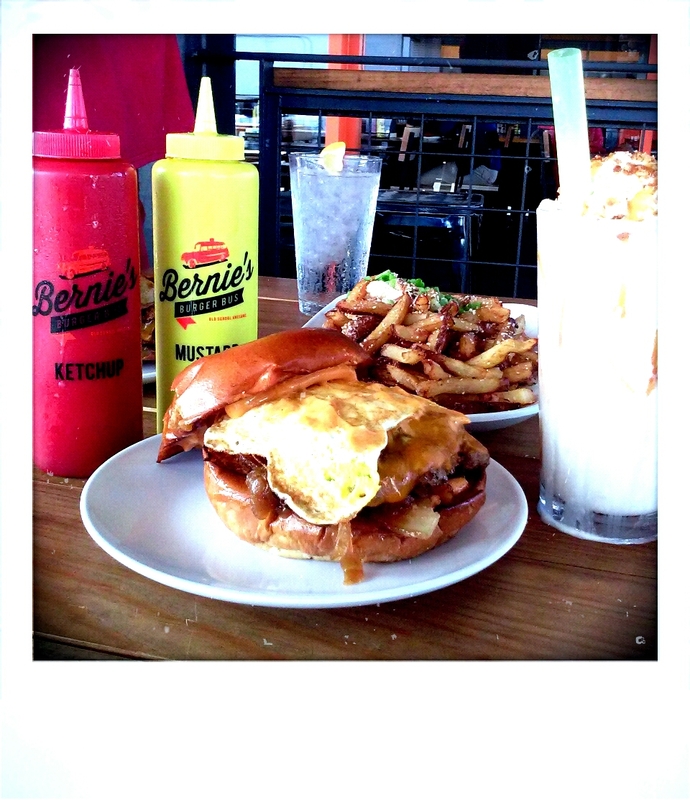 Modern, cool and fresh, Bernie’s has the making to be the best after school spot ever! 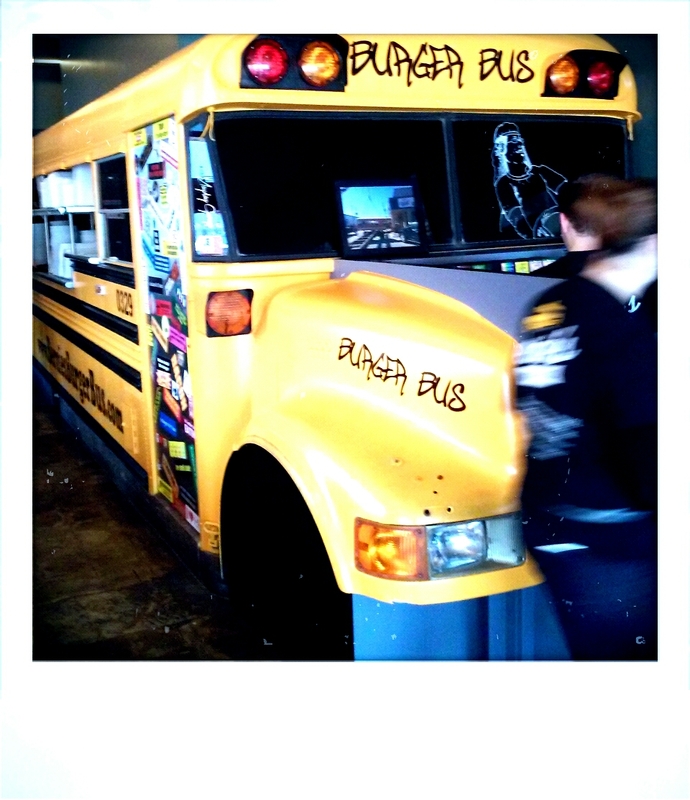 There is literally a school bus in the restaurant that serves as the scenery for the kitchen, as the staff works furiously to bring out the fresh burgers. We opted to sit outside on the patio since it was a beautiful day! The menu is cleverly disguised as a school notepad/notebook and burgers are named after your favorite people and places in school such as The Principal, Detention, Study Hall, The Cheerleader and The Bully. Our server Matthew was nice and very attentive. Of course when I enter a new establishment I always ask my server for recommendations or the most popular items ordered. 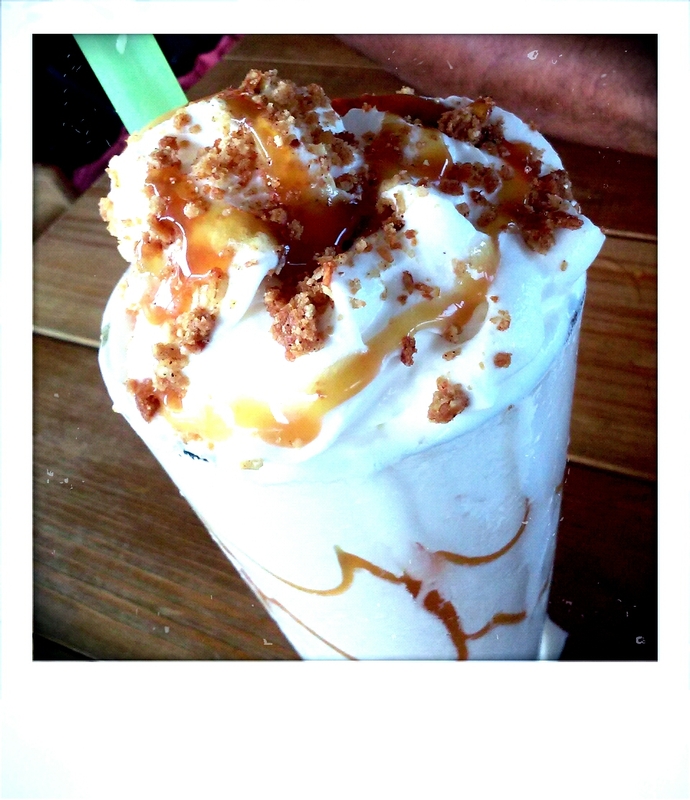 Matthew suggest I go with the Salted Caramel Apple Pie Milkshake with streusel crumble and whipped cream ($7.00). He also suggested I order ‘Homeroom’ (Applewood smoked bacon, cheddar, “tipsy” onions, chipotle aioli and topped with a Fried Egg $10.25). 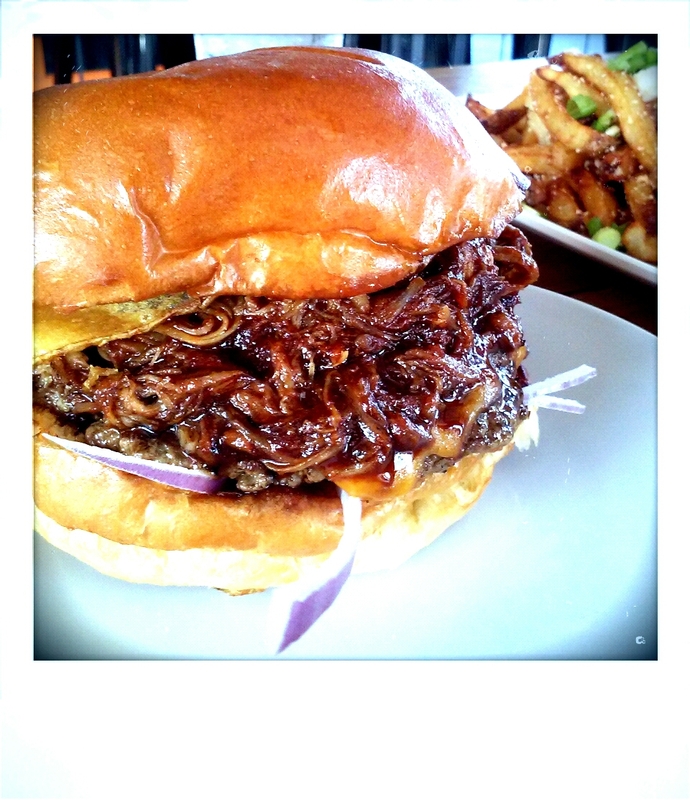 My hubby ordered a pulled pork BBQ sandwich which I apologize I forgot the name! 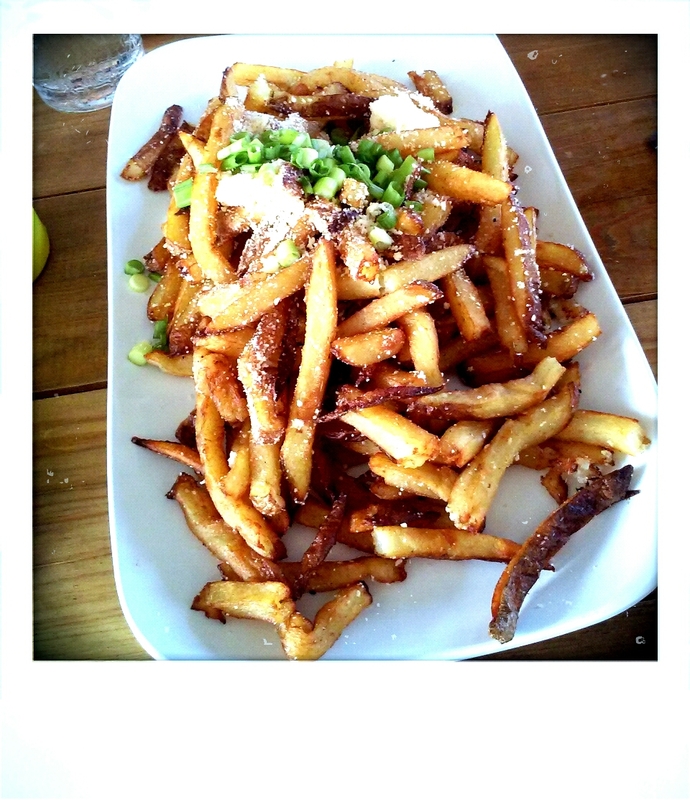 We decided to share an order of Truffle Laced Hand-Cut Fries with parmesan and green onions. Everything I ate was amazing and beyond fulfilling! The truffle laced with parmesan was great with the perfectly cooked and cut fries. I believe they would have been amazing with sweet potato fries but I’m not complaining! As far as the burgers go both were out of this world! 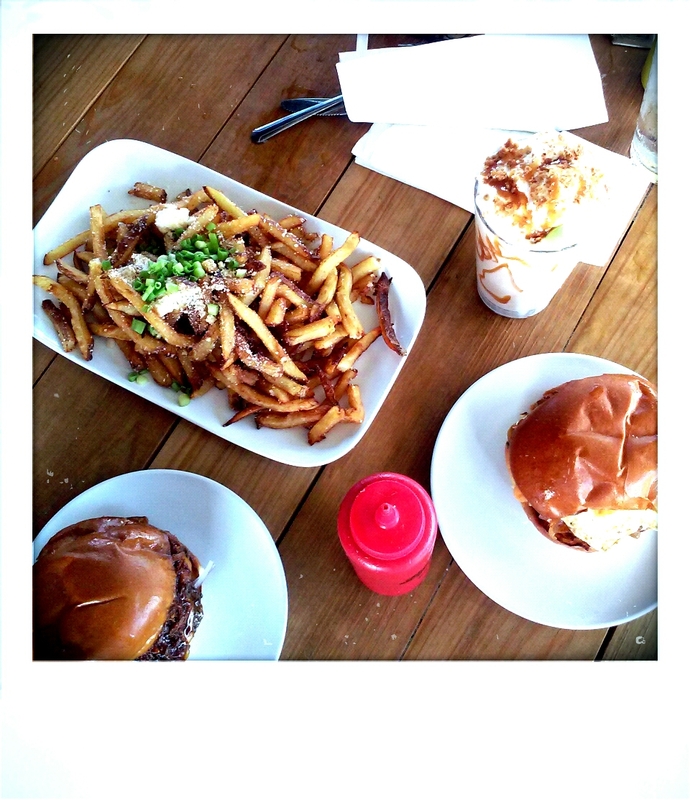 Best burgers I have had in years! 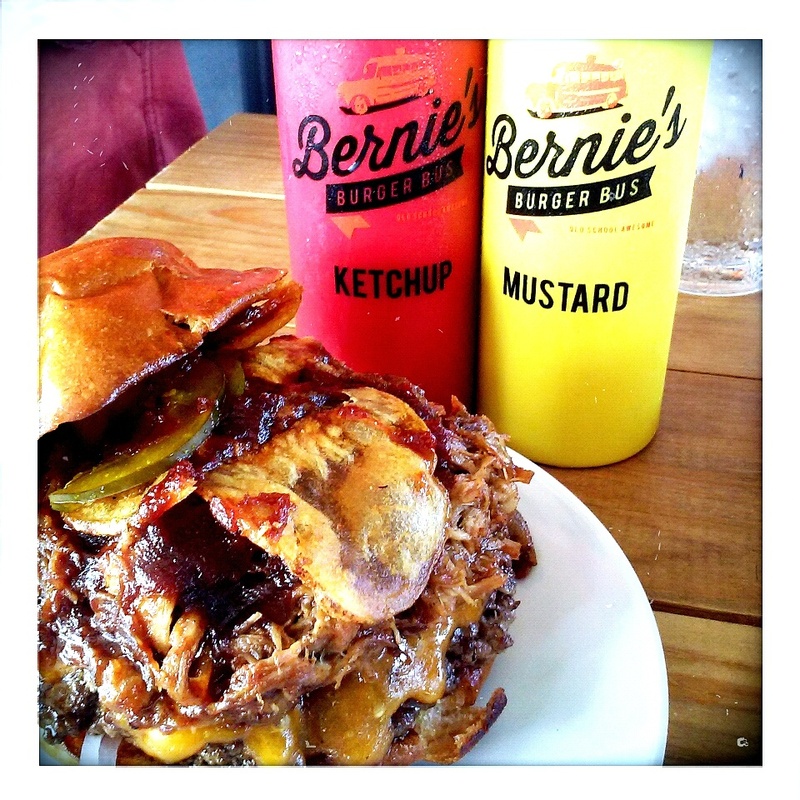 I would recommend the BBQ pulled pork sandwich the sauce is what makes Texas legendary for its BBQ. Sweet yet savory but can still get that smoked bbq taste from the sauce and pork. So gooooood! 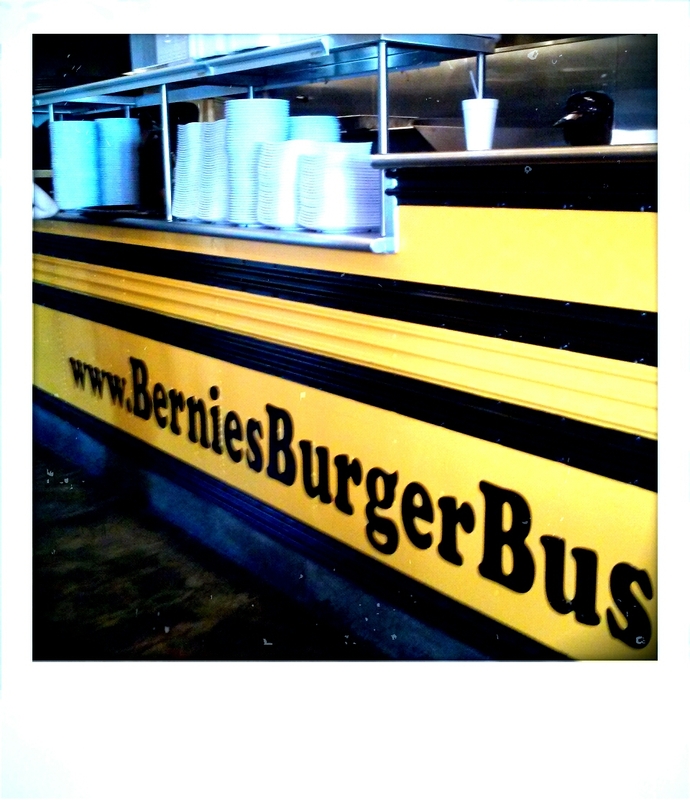 Be sure to check out Bernie’s Burger Bus Food Truck which is roaming the streets (get their schedule on their website).